Want to revamp your home decor with some cool chairs? Here are the top 6 types of accent chairs that always make wonders as accent decor pieces. Generally, chairs are primarily utilized to allow homeowners and visitors to sit and relax, especially in the living room. But, chairs are more than this. They are used mainly to enhance and add accent to the house. Interior designers mostly utilize different kinds of chairs to improve further the appearance and look of the property. And if you are thinking of giving your home a whole new look, these are some ways that you can apply to decorate your home with some cool chairs! Casual seating chairs are usually found in the living room. 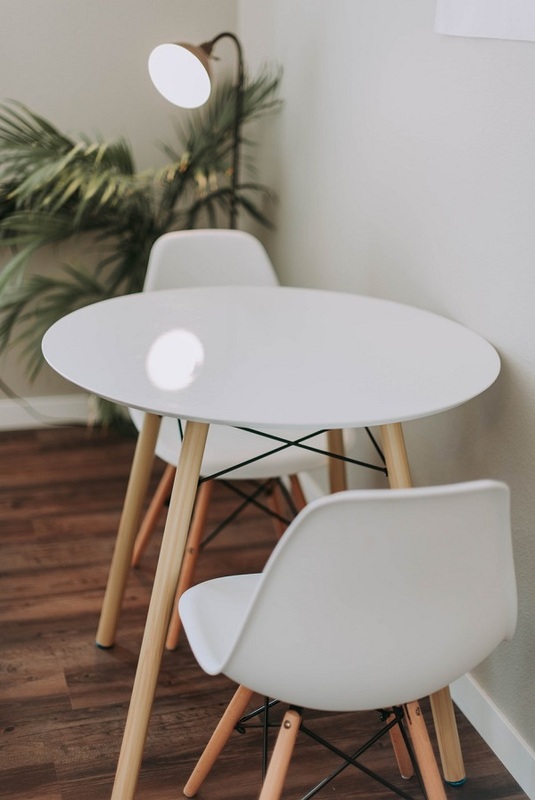 This is because they are mostly the chairs that are designed to sit on “casually.” The designs and appearances of these chairs are mostly the ones that make the base of your interior decoration. So, in decorating your home with casual seating chairs, choose a color and appearance that would mix and blend well with the tones of your walls. On the other hand, some casual seating chairs are more than a base of the decoration. Chairs like bean bags and throw pillow-chair like are used as casual seating tools as well. And they are usually the ones that add the accent to the overall decoration. The popularity of slipper chairs started in the early 1800s. And these chairs are utilized mainly by the royal blood, especially princesses, where they can sit while their maids help them wear their slippers or shoes. Hence, the name – slipper chairs. Today, these chairs do not only serve the same purpose. Homeowners use these to decorate their bedrooms and closet rooms. They are generally armless, upholstered, and short-legged that sits close to the ground. Although they are much more fitting in most bedrooms and closet areas, slipper chairs are also utilized in many living rooms today. You can place it just right beside the coffee table or perpendicular to your sofa set. Even so, the design and style would give you ideas on where to put it. You may check some style and design when you see these product reviews of different slipper chairs today. The statement chairs are the center of attention in your living room. You may consider it as the royal throne in your house. Hence, it must portray the general interior of your home. It is mostly the one that gives accent to the house. The best way that you can do to arrive in a great looking interior decoration is to have big and huge pieces of statement chairs. Even when your space is small and limited, the statement chair or chairs must be huge. Swivel chairs are naturally found in offices. Their functionality of being able to turn 360 degrees is what makes them unique and fitting for office tables and sets. But even so, you can essentially utilize swivel chairs in decorating your home. Today, there are tons of unique and stylish swivel chairs that are great enhancers of home interiors. You may place these chairs beside the phone and lamp table or the coffee table. Also, you may choose to have tall swivel chairs and place them in front of the bar or counter of your kitchen and dining area. Barrel chairs are typically mistaken for swivel and slipper types. This is because some of the new designs today integrate and incorporate these types into one. But even so, barrel chairs are unique, and they add life to the statement chairs. Hence, it is advisable for you to place the barrel chairs beside your statement chairs. You could also put these chairs beside the door or near the living room. Also, it is quite usual for homeowners today to place plants and live accessories right beside their barrel chairs. Aquarium tanks are a great choice too. Wing chairs come with, well obviously, wings. Their back portions have this form that appears like wings. And the specific design of these wing varies from one chair to another. In the previous centuries, wing chairs are placed beside or in front of the fireplace. Not only that they enhance the overall ambiance, but it is because the wings and form of the chair trap the heat in its surrounding area that lets the user experience more comfort and warmth. Hence, if you have a fireplace, this is an excellent addition to that area. But even so, wing chairs can also be used to decorate your home even if you don’t have a fireplace station. You can place them beside your entry table point where most of your visitors could wait before entering the living room. Now, these are only some of the coolest chairs that you can add to your home. Not only that they have cool features and functionalities, but they can help you enhance the overall look and appearance of your home.